at the Queen's Park Day Publishers' Reception. 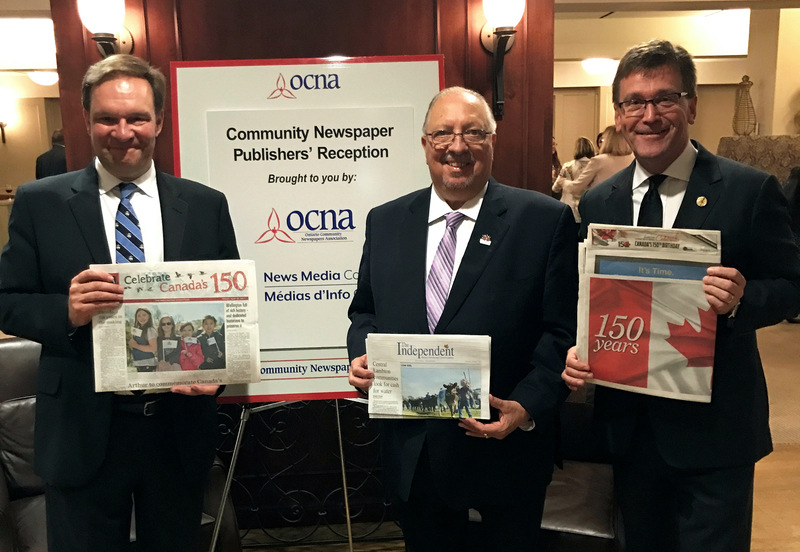 On Wednesday, October 4, OCNA members travelled from across the province and gathered at Queen's Park for a day full of meetings with MPPs to lobby for current issues affecting the industry. A Publishers' Reception took place in the evening, allowing for government officials, senior civil servants, publishers and editors to connect in a casual setting. The event was a success and thank you for all who attended. For more information about Queen's Park Day, please contact Karen Shardlow at k.shardlow@ocna.org.